In 1908 a young American professional clarinettist, Rudy Wiedoeft, decided he would make something of the saxophone in a green sack he had noticed in a pawnbroker’s shop. “I thought there might be big money in the novelty. This revolutionary move on my part was not greeted with favour by friends, relations and colleagues.” His initial attempts were, as with most of us, quite dismal. His mother insisted on him practicing in the wood-shed! But, after giving up and selling the instrument, he saved up and bought the best instrument money could buy at the time ($130) and renewed his studies fervently with oboe methods and pieces – there were very few specialist tutors published at the time. Born in Detroit on 3rd January 1893, Rudy was the youngest of four brothers – Herb (trumpet), Gerhardt “Guy” (tuba/double bass), Adolph “Al” (trombone/drums) and when they moved to Los Angeles in 1903 The Wiedoeft Family Orchestra was formed with their father on violin, sister on piano and the flaxen haired, serious-looking ten year-old Rudy on clarinet. Rudy toyed with other vocations for a while until he moved to San Francisco where, by 1913, he had become first-chair clarinettist with Porter’s Catalina Island Band. 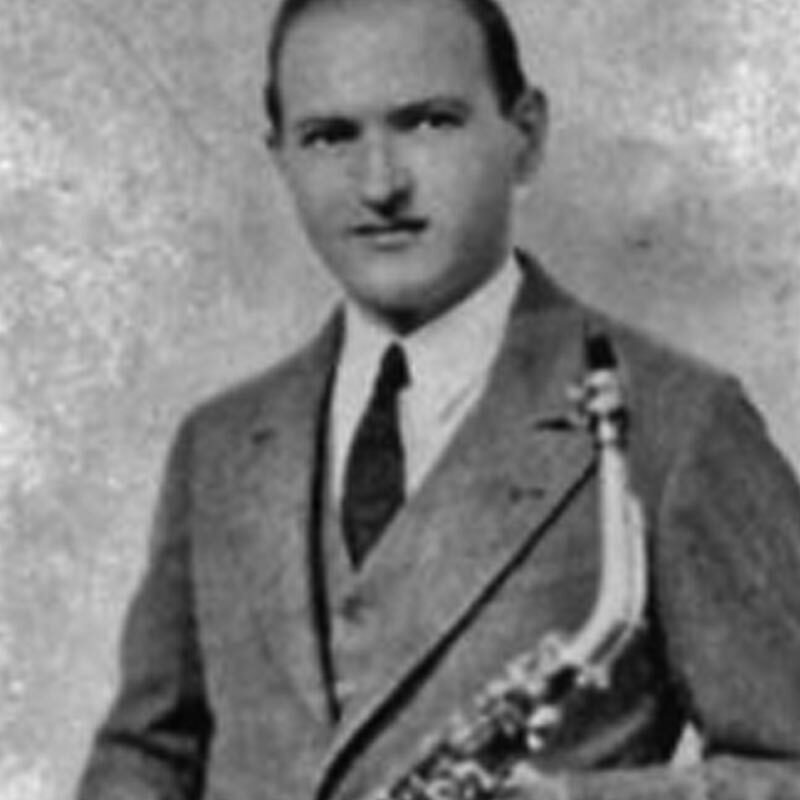 The change-over to saxophone in the following year was well-timed for Rudy and, after leaving for New York in 1916, he cut his first solo disc, “Valse Erica”, for the Edison Company.